Hello again! It has been a few weeks since my last post, and during that time I was fortunate to travel to Asia with my MBA classmates and generally have a tremendously good time. This is also a shameless plug for you to take advantage of the Post 9/11 GI Bill and pursue an education beyond your military service. You will meet great people, learn a ton about things completely unrelated to bayonets, machine guns, fighter jets, or aircraft carriers. You might even get a chance to travel abroad without carrying a sidearm- trust me, it is a great experience! Anyhow, the purpose of our trip to Beijing was to familiarize us with the business environment in China by introducing us to a variety of companies. We also were fortunate to see some of the true wonders of the world, such as the Great Wall of China and the imperial Forbidden City. It proved to be a very insightful and interesting trip. We spent the duration of our stay in the capital city of Beijing. The city is enormous, with a population of some 20 million residents, and sadly modern, with mile after mile of largely uninteresting and recently constructed apartment and office buildings set atop former villages, farms, and historical streets of ancient Peking. Sadly, the rush for modernization comes at a high cultural cost. It also comes with an astonishing impact on the environment, most evident by the astounding level of air pollution that blankets the city. It is like a fog that obscures buildings from view even though they are only a few blocks away. The air quality is so poor that many residents wear surgical masks to protect themselves, and after being there for a week and suffering from a sore throat and sinus problems it seemed to be a pretty good idea. China has enjoyed tremendous financial growth largely though revenue garnered by the privatization of land (well, the pseudo-privatization of land, as all land is owned by the government but can be “sold” in the context of a very long term lease) in urban areas. In effect, cities are growing by usurping lands previously held by villagers or farmers, with those hapless former inhabitants being relocated into towering and identical blocks of high rise apartments. The displaced persons are compensated and provided a place to live, but the difference in the amount of compensation that is provided is a pittance in comparison to the price the land commands when privatized. This model has a serious problem, however, in that there is only so much land that is valuable enough to generate the revenue required to keep growth at a high level. This will result in a gradual decrease in revenue from land sales and a corresponding negative effect on growth. We received an insightful briefing from a financial manager, who pointed out the problems with financing growth through land privatization. He showed, however, that there exists a revenue stream that will supplant and possibly exceed the real estate market: the spinoff of State Owned Enterprises (SOEs) to the private sector. The definition for State Owned Enterprise that I am using includes those companies that are wholly owned by the government or those that receive investment in the form of capital or other resources from the government. In essence, the SOEs are provided a distinct competitive advantage because they are the beneficiaries of the Controlled State Economy; they can receive investment from the government without the expectations that come from traditional Western investors, such as financial returns or other shareholder rights. Anyhow, the government can earn somewhere in the realm of 30 – 40 trillion yuan (their currency, which equates to somewhere in the 5 – 6 trillion U. S. Dollar range) in revenue from spinning off these enterprises. 1. A significant consideration for the Chinese government is employment. They have 1.3 billion people in the country, and in order to keep everyone happy they need to have jobs. This leads to programmatic inefficiency in Chinese industry and government, with the choice to employ people over employing automation or seeking other efficiencies. That is perfectly fine when firms are receiving investment funds from the government (which is happy to allow inefficiency as long as people are employed) but not so much when a SOE is spun off and must compete in a free marketplace. Here is an example from a computer chip manufacturing firm that we visited during our trip: The company, which is a SOE that receives a significant amount of capital from the government, manufactures chips that are used in mobile phones. The facility has “clean room” manufacturing areas on three floors of the building. The entry into the clean rooms is monitored by a young man or woman, who spends his or her entire day standing at the door and running an Electrostatic Discharge detection wand over each employee as they enter the room (this is important because any stray static electricity introduced during the manufacturing process can damage or fry the chips). If my memory is correct I think that there were two entrances per floor, with a helpful wand bearer at each one. Since the firm runs two shifts per day, and operates on a four day on, four day off schedule, this yields a requirement for four complete sets of employees. By doing the math (six employees per shift times four shifts equals 24 employees) it is evident that a large number of people are doing something that in a western facility would be performed by an automated sensor. While labor is cheap in China, the cost of labor is rising with the emergent middle class. That said, the inefficiency is acceptable for a SOE because the costs are absorbed or mitigated by government investment. Governmental mitigation only works with true SOEs – if the goal is to harvest revenue by spinning SOEs off into the free marketplace, then the valuation of the companies will suffer because no western investor will accept the inefficiencies of a SOE after acquiring the firm. In the free marketplace costs must be reduced in order to increase the bottom line, and labor that can be replaced with automation will be replaced. I believe that this ingrained level of inefficiency will devalue the companies that the government spins off. Getting back to employment, though, is important. If these firms are spun off and the personnel inefficiencies are corrected with automation it will result in an aggregate increase in unemployment, which is counter to the government’s goal to keep the people happy through work. An increase in unemployment means an increase in disgruntled citizens, and the magnitude of such an increase in unemployment will be enormous if so many SOEs are spun off. What, then, will the government do with all of the unemployed people? I don’t know, but whatever they do it will have a negative effect on economic growth. 2. Healthcare, the environment, and everything else. It is ironic that capitalist societies have managed healthcare for their citizens but communist China does not. Healthcare in China is largely a cash driven model for the bulk of the citizenry. As the country modernizes the antiquated healthcare system, it will result in a major drag on economic growth, as will the need to clean up the environmental problems that have emerged as a result of industrialization. The problems of pollution and the negative impact of industrialization on the environment have only now begun to be addressed in China, and the costs associated with these problems will be profound. Again, this will result on a drag on economic growth. China is experiencing an industrial and economic revolution in a span of a few decades that the west took over a century and a half to get through. As such, they have maximized the ability to capture and hold market space in manufacturing due to their cheap labor and lax regulations, but as labor costs increase and the need to clean up and regulate industry grows there will be a slowdown on the trajectory of growth for the nation. The country is plowing an unbelievable amount of money into infrastructure, with planned cities growing by millions of people per year, bullet train lines linking population centers, and road networks expanding to meet the explosion in car ownership. These things cost money, which will only cost more as labor costs grow and the need for infrastructure increases. So, in conclusion, I think that China has some serious hurdles to jump over in the near- and mid-terms, but I think that they will overcome the challenges and thrive in the long term. It will just take a considerable amount of time, treasure, and collective pain to get there. I came away from my visit to China convinced that the country is in for rough seas ahead, and I am unwilling to place my personal investment dollars on their ship of state until they weather the storm. After they reach their nadir, however, I believe that the opportunity for investment is tremendous. With that, I will leave my trip to China and get back to the exciting world of transition as we dive into the wonderful world of job interviews…. As I wrote in my last post I am pursuing my MBA at the University of Southern California’s Marshall Business School, and I truly appreciate all of you who helped out with my research project. Getting an education is expensive these days, and fortunately for me, and for all honorably discharged veterans, the VA is there to help out with the Post 9/11 GI Bill. The GI Bill originated with the end of the Second World War. In 1944 the U. S. Government passed the Serviceman’s Readjustment Act. Apparently calling the new law by its formal name was a mouthful, so it quickly became named after the people it was designed to help- the GIs returning from the war (GI was slang for anyone in uniform, coming from the term “Government Issue” or “Galvanized Iron”, depending on which story you believe). 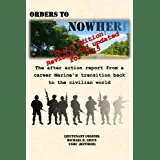 Anyhow, the veterans coming home from Europe and the Pacific were able to take advantage of a wide array of benefits which included home, small business, and farm loans, unemployment compensation, and educational benefits. As a result of the program a staggering sum of nearly 8,000,000 veterans (almost half of all who served during the war) pursued higher education. Over the following decades GIs went to war again and again, and as they did the GI Bill was there to help veterans when they came home from places like Korea and Vietnam. In the 1960s benefits were opened up to veterans who did not serve in war, and over time the GI Bill dwindled until it was a shadow of its former self, essentially offering a small stipend to help defray college expenses. – The GI Bill will pay an eligible veteran’s full tuition & fees directly to the school for all public school in-state students. For those attending private or foreign schools tuition & fees are capped at $17,500 per academic year. For those attending a more expensive private school or a public school as a non-resident out-of-state student, a program exists which may help to reimburse the difference (the “Yellow Ribbon” program). -An annual books & supplies stipend of $1,000 paid proportionately based on enrollment. -A one-time rural benefit payment for eligible individuals. – released from the active duty for further service in a reserve component of the Armed Forces. You may also be eligible if you were honorably discharged from active duty for a service-connected disability and you served 30 continuous days after September 10,2001. In my case, I was originally eligible for what was known as the Montgomery GI Bill when I enlisted back in the early 1980s. I used it to help pay for tuition and fees for my undergraduate work, and I received payments of about $150 a month or so, depending on how many credits I was signed up for. Now that I have transitioned out of uniform I am eligible for the new GI Bill, but there is a catch. There is always a catch. It turns out that veterans are only allowed to take advantage of GI Bill benefits for a total of 48 monthly periods. If you are in school for a full year, then you use 12 months of benefits. If you take summers off, you use up nine months. In my case, I used up 45 months of my benefits while I was enlisted, and that didn’t leave much for me to use after I got out! Fortunately, the new GI Bill recognizes that there are a lot of us in that position. The VA authorizes an additional year (12 months of benefits) for vets like me who used up a lot of their alloted time. For me, the fifteen or so months works out pretty well because my program is nineteen months long. Fortunately I had been saving some money to prepare for my post-military education – otherwise I would have been out of luck. 1. As with any VA program you must register for benefits. Go to www.va.gov and complete the VONAPP (Veterans On Line Application) in order to get started. You can complete the paperwork at any time, so get started as soon as you can in order to draw benefits as soon as you start school. 2. There are different rules for public and private schools. Basically, the VA will pay up to the highest state school rate for the state you attend college, but for private schools there is a cap on tuition and fees. Make sure to surf the VA GI Bill website to find out what pertains to your situation. 3. A great benefit is the housing allowance that you receive while attending school. It only pays while you are in class (no spring break or summer payments) and it is also not allowed it you are still on active duty. It may be to your advantage to start your education after you get off terminal leave if you want to receive the full benefits available. As you know I am working through my transition from active duty life on the other side. What you may not know is that I am taking advantage of the Post 9/11 GI Bill in order to pursue an MBA from the University of Southern California’s Marshall Business School. One of the many things that I am working on is a term paper on organizational culture; specifically, how does the Marine Corps successfully imbue the culture of the Corps into newly minted Marines? How is the recruit training process so very effective in transforming civilians into Marines? This is where you come in – if you are a graduate of Marine Corps recruit training, that is. If you earned the title of United States Marine at MCRD San Diego or MCRD Parris Island I would very humbly like to ask if you would be kind enough to take a survey about recruit training. I am garnering data to support my paper, and there is nobody more qualified to talk about how Recruits become Marines than those who suffered the terrors of the yellow footprints and the joy of graduation day. So if you would be so kind to do so, follow this link and take the survey. It is anonymous, and you would truly be helping a fellow Marine (albeit a retired one) out! Thanks!